How To Drive Up Product Sales With Paid Traffic Sources is your definitive resource to paid traffic sources for 2018. Multiple different types of paid traffic resources are listed and separated by type. This is another post in our Driving Traffic Series. Previous posts include Leveraging Google properties to drive traffic and many more are to come in the future. Every day we hear from people pouring their profits back into PPC and paid ads. Few sellers take the time to research the best ways to reach their audience. 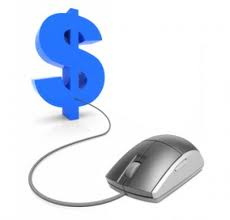 Listed below are many of the alternatives for paid traffic. Some of these resources are direct connections to certain audiences for pennies per click. The benefit of using some of these sites is you drive your own traffic to your products, making you much less dependent on any specific platform for traffic. Without giving up all of my secret tactics, within this list are some of my best traffic resources depending on the category. It is your job to figure out what works the best for your products and categories. When you drive up product sales using paid traffic sources, your margin is offset by the cost of the traffic. It is imperative that you go into it knowing what budget should be. You need to have an acquisition maximum so that you are always operating at a profit.